I recently discovered that, according to the European Defence Agency, in 2012 EU governments spent 190 billion euro on war and preparations for war. Not everyone thinks that this is enough — in September 2014 NATO leaders agreed to increase their military spending. But, leaving aside the ethics of spending so much money on the apparatus of violence, are we quite sure that military spending is the most cost-effective way of dealing with conflict? 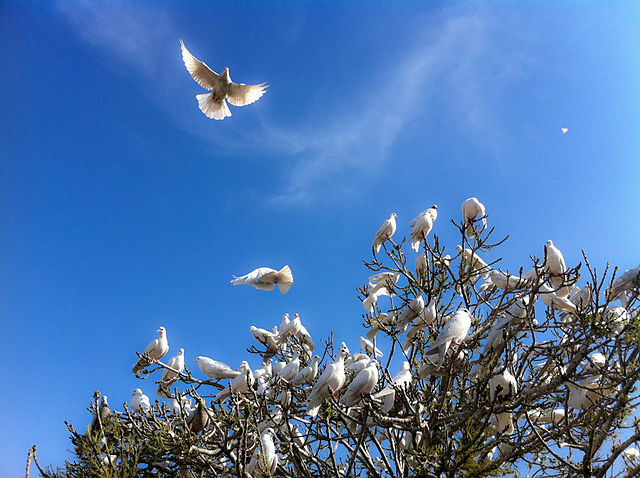 Quieter and less glamorous than armies, teams of peacemakers around the world are working to help people to enter into dialogue, to understand their differences and their common interests, and to reach peaceful resolutions to their conflicts. 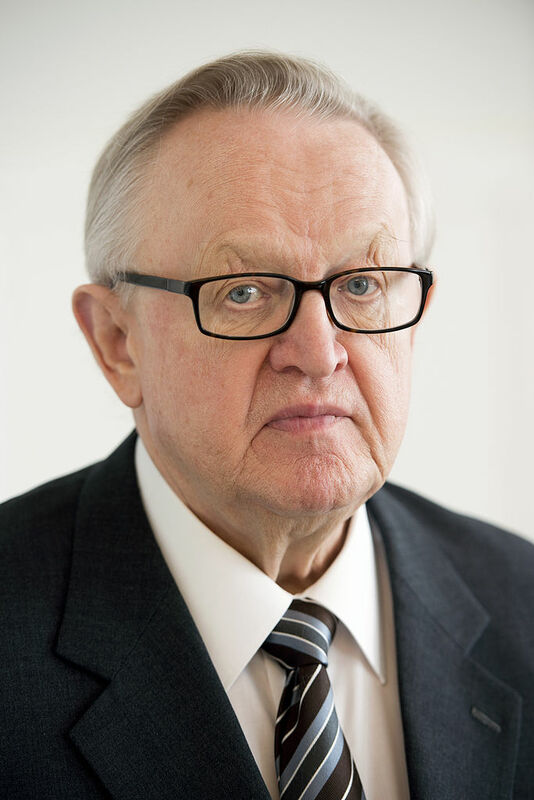 Perhaps one of the best-known organisations in this field is Crisis Management Initiative, a Finnish organisation with some seventy staff, led by Nobel peace laureate Martti Ahtisaari. According to its most recent annual report, this organisation is running twenty different peace projects, working on conflicts in Africa, in Eastern Europe, and in parts of Asia. Its recent activities include organising dialogue on the conflict in Ukraine, and supporting attempts to end the civil war in South Sudan. In 2012 the total cost of running this organisation was 7,400,000 euro — or about as much as EU governments spent on war every twenty minutes. Imagine…. Dare to dream of a better world! Imagine what the world would be like if we Europeans decided to divide our “defence” budget equally between war spending and peace spending. Using the 2012 figures, this would mean spending 95 billion euro per year on war, and 95 billion euro per year on peace projects of various kinds. These peace projects wouldn’t all need to focus on promoting dialogue — rebuilding a stable society after violent conflict is just as important, given that instability often leads to a relapse into violence. If we found that there weren’t enough trained peacemakers to carry out so many peace projects, then we could train more peacemakers, just as armies train more soldiers. And if we really couldn’t think of enough peace projects to spend 95 billion euro on, then we could always find other uses for the money, such as spending 2.6 billion euro to feed all the world’s hungry children for a year. In any case, all this spending on peace and love would leave us with a mere 95 billion euro to spend on war, so we would need to follow a policy of disarmament, reducing the sizes of our armies and arsenals. How could Europe do more to promote peace? 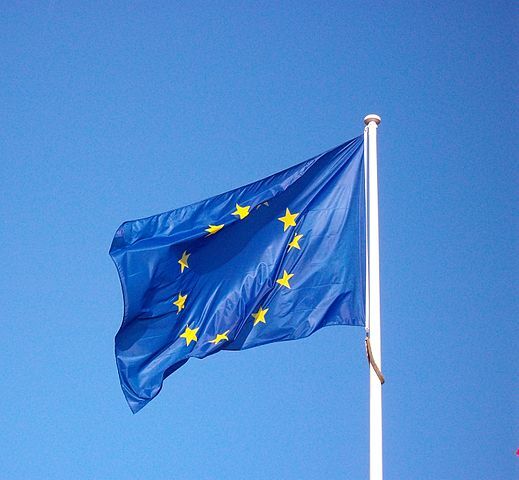 In June 2015 the EU heads of government will meet to review the progress of their policies. With this meeting only a few months away, I would like to make a humble suggestion to our leaders. How about allocating one per cent of our “defence” budget to peace projects? Using the 2012 figures again, this would still leave some 188 billion euro per year to spend on tanks, missiles, drones, and so forth (not that I approve of this), while providing an extra 1.9 billion euro per year to spend on peace. That would be more than enough to fund Crisis Management Initiative two hundred and fifty times over. What might peacemakers achieve with the extra funding? Imagine…. 1 Actually, it was more than that. For reasons that I won’t go into here, the European Defence Agency’s calculations exclude military spending by Denmark. 2 The United Nations World Food Programme estimates that this would cost 3.2 billion US dollars, which comes to 2.6 billion euro at the current exchange rate.